Last night I was blessed to be in the company of my church community for the last time (for at least 2 years). As with the blessing of the waiting time earlier this month, and as we have done for many Apostles on their own journeys, my community laid hands upon me and prayed for this new venture and calling. 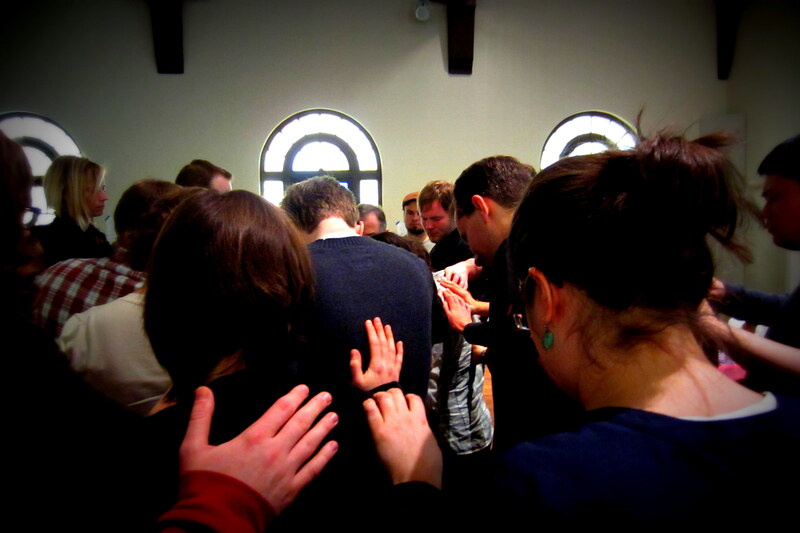 For more than seven years I have called Church of the Apostles home. What an amazing time—the Living Room storefront, starting the Fremont Abbey, intentional community houses, retreats, discernment groups, and partying in the Resurrection; we created liturgy, had faith, shared doubt, lived uncertain futures, had some miscommunications, celebrated, felt our brokenness, lived new life—so much life together. Though I am leaving the physical connection to friends and worship space, I am still an Apostle. This parting is both ending and beginning. There’s not much else to say but Thanks, friends. Blessings of peace and joy, wisdom and traveling mercies, dear Megan! I see you setting off with the winds of the Spirit billowing wide your sails! God is surely with you, my friend, and the love of all of us goes with you, also. I look forward to reading your beautifully-written posts about this new chapter in your adventurings. Yes, you are absolutely an Apostle — gifted, called, and sent, filled with Christ’s Spirit. Most assuredly, God goes with you, behind and before, surrounding you with love and peace. Thank you for keeping us apprised of the steps of your journey.